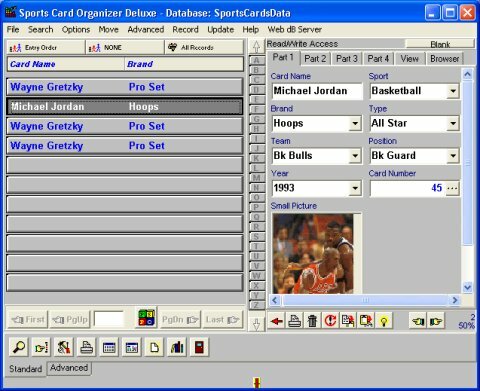 Simple, easy-to-use: Ready-to-use sports card inventory management solutions and the user-friendly interface let you easily and quickly organize your collections. Easily Process Data: Report Wizard, Label Wizard, HTML Generator Wizard let you create professionally looking documents, collection reports and summaries, Web pages and catalogs, labels with color and graphics. Flexible productivity tool: Using a helper program called Designer you can easily modify inventory templates included in the package. Web ready: Web Ready features give you the ability to publish your sports card database to the Web. Organizer is intuitive and easy to use for the beginner, at the same moment feature-rich and powerful enough to satisfy the most advanced users. TrafficRefine - With it you can control internet traffic, set restrictions and permissions on user accounts basis. TrafficRefine is a personal web filter and very easy to use. It gives you the full power of controlling web traffic on your computer. World 3D Cup 2006 Match Player - World Cup 2006 in 3D view! Watch the hottest moments of all World Cup 2006 matches in 3D anytime on your computer. Take a 3D tour around all 12 World Cup 2006 hosting arenas.